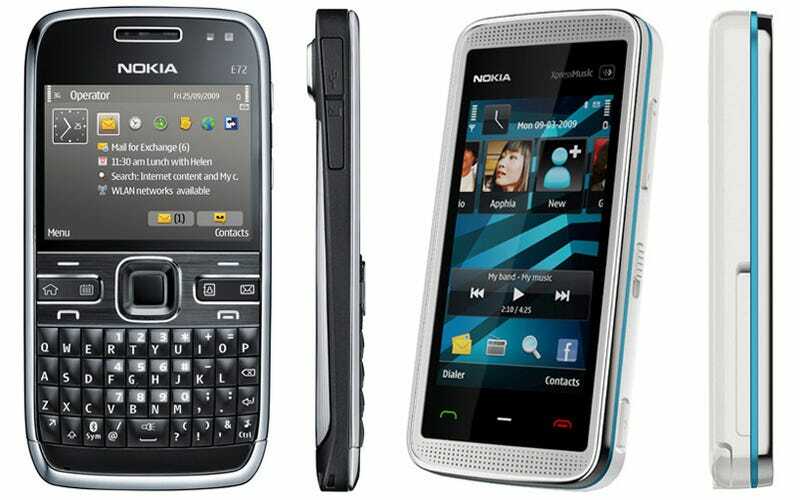 After "leaking" a promotional video over the weekend Nokia have officially unveiled the E72 - their new QWERTY smartphone followup to the fantastic E71- at the Connection 09 event in Singapore. Compared to its none-too-old brother, the E72 will see its camera bumped up to 5 megapixels along with the addition of an integrated compass, an optical navigation key (not unlike the BlackBerry Gemini's) and sensibly a 3.5mm headphone jack. Nokia say the S60 handset features a "desktop like email experience" and will begin shipping third quarter of 2009 for $485 without contract.